Fine tune your autumn winter wardrobe and embrace the shifting sartorial mood with The Atterley Trend Report. Welcome to your hand picked edit of the looks and labels our Boutique Buyers are investing in now. Make a fierce foray into animal print, brought up-to-date this season and reinterpreted in countless AW18 collections. Take a trip to the country via heritage-inspired checks, tailoring and knitwear. Or counteract darkening days with mood-boosting brights and captivating colour clashes. The key to this season’s trends? They are far from prescriptive - curate your closet with ample space to let your personal style shine to through, and remember it’s not what you wear, it’s how you wear it. Let paintbox brights provide an antidote to darkening days. From emerald to magenta, canary to cobalt; mood boosting hues are big news this season. If the matchy-matchy approach appeals, consider experimenting with contrasting textures instead - think fluffy oversized jumpers, silky pleated midi skirts and patent heels. On the other hand, street style-inspired colour clashing can add an element of the unexpected to your look. For an instant outfit lift, consider eye-catching accessories your calling card. Look for bright bags, boots and scarves in playfully opposing shades. Not just for weekends away, this is where country club chic gets a city sensibility. This season's contemporary tailoring, heritage checks and polished accessories capture an undeniably luxurious mood. 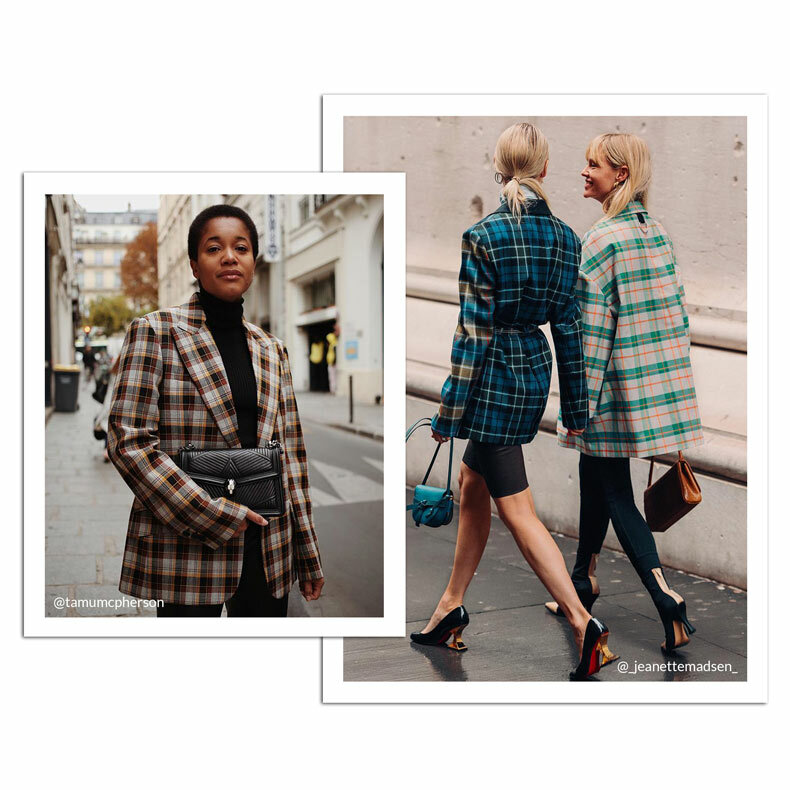 Crucially, avoid over-gentrifying your wardrobe by keeping the details up-to-date; blazers are belted, tartans are bright, boots are block-heeled. That's not to say closet classics can't still hold their own. A wrapped camel coat will always hide a multitude of sins with endless elegance. A fine cashmere roll neck is still your wear-everywhere investment piece. And an impeccably crafted leather tote will always be worth holding on to. 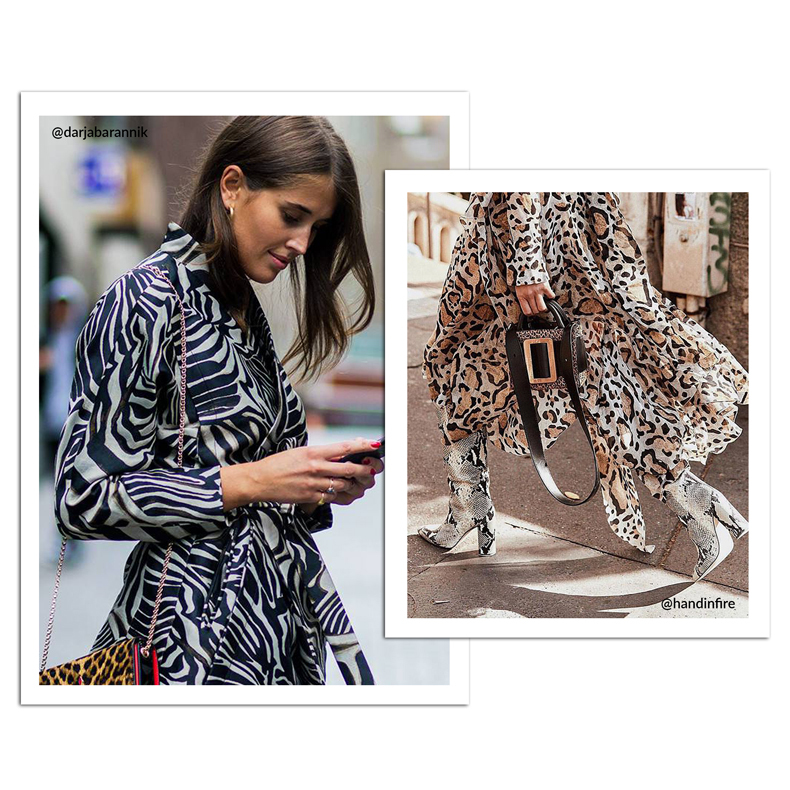 While leopard print continues to cause a stir this season, sartorial tastemakers are on an altogether wilder animal print safari. Think zebra, tiger, snakeskin and crocodile. For a style-set approved spin, go mismatched and maximal by juxtaposing and wearing them all at once. For a day-to-night formula? Floaty midi dresses, faux fur coats and sensually sheer blouses fit the bill. If you're only looking to give off a hint of animal instinct, thoughtful accessorising can still create an impact. A leopard print mini bag or croc leather boots add just the right amount of interest.